There was a terrific focus on all kinds of storytelling from songwriting, to children’s literature and publishing tips for writers. There was also an installation, The Ghost Project, in an old holding cell created by Anna Tregloan. I flew into town - yes, I flew on one of those light planes! - and rolled into my first session, a workshop for year 8 and 9 students on game design. It was a pleasure to show them The Gardens Between, talk about our process prototyping levels with Lego and then, letting the students give it a go. Kids have the best imaginations. They are completely unhindered in what they do. Soon, there were Lego levels everywhere. Moving around to each group, I would encourage them to think about what the different lego pieces could represent and make rules about how they operate in their own adventure game. They caught on immediately and soon, we had all kinds of adventure games appearing. Then, on Saturday, I gave a talk on the basics of narrative design for games using The Gardens Between as an example. I also sat on a panel about Alternative Storytelling where we chatted about stories we have seen or read or played that have done things a little bit differently. It was really interesting from the perspective of a writer for games, a non-fiction writer, a fiction writer and an installation artist. Much of our reflection came to drawing parallels between our seemingly different storytelling backgrounds. For example, how games are similar to instillation pieces, and that the process of stitching together different genres in the same novel or crafting a crossword puzzle are not unlike games in the way they invite play and a shifting of levels and ‘difficulty’. My favourite panel was the one on book publishing. Three authors discussed their writing process and it was so reassuring to hear how their approaches were so different. One considered reading crucial to writing, the other not so much. 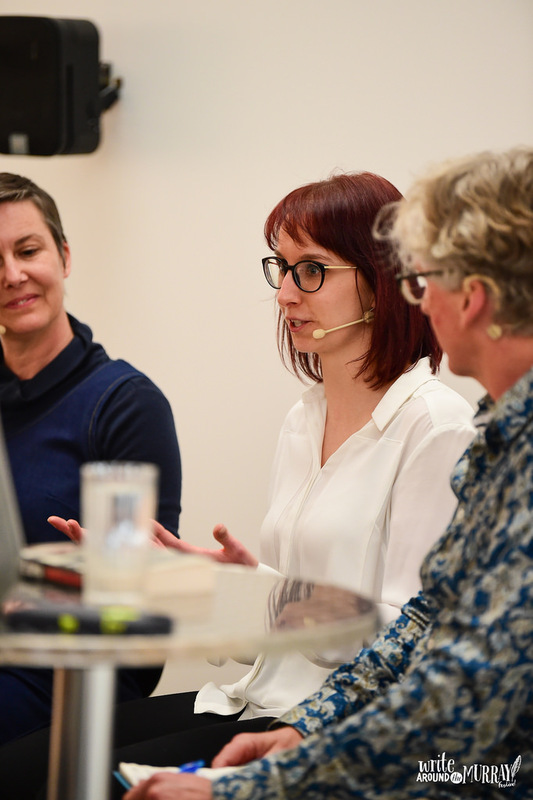 One panelist accepts that she must write and write in order to find her novel. For one project, she deleted a whopping 90,000 words and rewrote. I came back feeling more energized and exciting about my writing than I have for a while! Thank you for having me, WAM and Albury City Council.